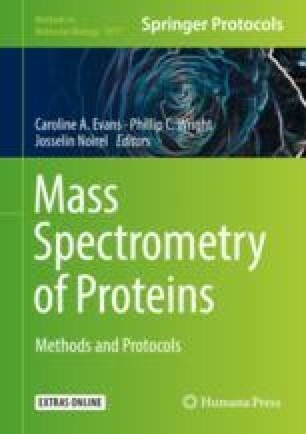 Metabolites and proteins are potential biomarkers. They can be identified with the help of mass spectrometry (MS). However, measurements obtained by using MS are prone to various random and systematic errors. The sensitivity of the technology to the errors poses practical challenges, including concerns about reproducibility of the MS-based assays and the possibility of false findings. Given the sensitivity, the proper design of MS-based experiments becomes of utmost importance. In this chapter, we review the basic experimental-design tools that can be used to prevent occurrence of errors that might cause misleading findings in MS-based experiments. We also present results of an experiment aimed at investigating variability of the intensity measurements produced by a MALDI-TOF mass spectrometer. The knowledge about the potential sources of systematic and random errors is fundamental in order to properly design an MS experiment.